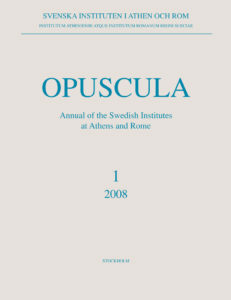 Opuscula 1 (2008) is out of print. Available for free download at Bokorder.se. Used copies might be available at Amazon.com and Amazon.de. 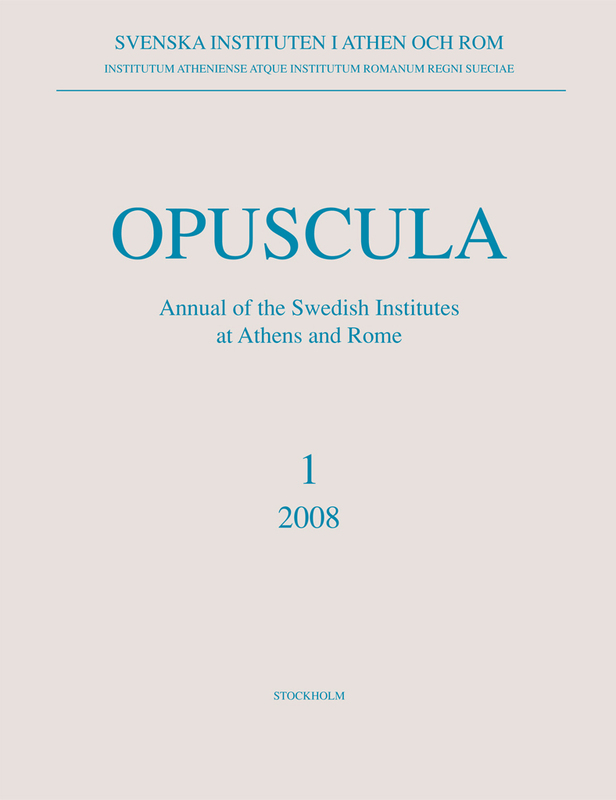 Excavations in Midea continued in 2006 as a Greek-Swedish programme under the direction of Dr. Katie Demakopoulou in collaboration with Dr. Ann-Louise Schallin. In the Upper Acropolis remains of an Early Helladic II defensive system were uncovered. East of this and at a lower level, a floor deposit was excavated with abundant pottery of Early Helladic I date including typical examples of the Talioti Ware. In the West Gate area excavation continued in the west part of the building complex adjacent to the fortification wall. Abundant Late helladic IIIB2 pottery was recovered from the exploration of two more rooms of the complex. A new trench was opened on the lower west terrace of the Acropolis in order to expose the line and the entire width of the fortification wall, which is almost completely covered by accumulated deposits in this area. Excavation was resumed in the East Gate area with the removal of a wide baulk and the investigation of the space associated with the series of rooms abutting the northeast section of the fortification wall. From the Mycenaean deposits removed, pottery including some pictorial sherds was recovered, as well as two human figurines.